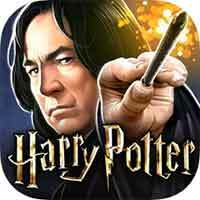 Guide for Year 3 Chapter 8 Harry Potter Hogwarts Mystery Barnaby Lee Walkthrough – You Know Who is defeated! (the boggart form, anyway) The information in your brother’s room now leads you to the library, which may conceal a Cursed Vault. 1. Jacob’s notes hinted at a Cursed Vault being in the Hogwarts Library. Find it! 2. You need a plan to get into the Restricted Section and find the Cursed Vault. Ask Tulip. 3. Barnaby Lee can help you stay ahead of Merula. Persuade him to join your cause. 4. Barnaby wants you to prove your duelling prowess before he agrees to help you. 5. Barnaby wants to celebrate your new partnership with a Butterbeer. Learning about Barnaby : Befriend Barnaby! Why does Merula hate you ? Do you think i’m mad ? Which creature is from Africa ? Which creature lays eggs ? Which one makes the best pet ? Which creature can fly ? Play Gobstones – Win at Gobstones by Confusing Barnaby! How do you like Gobstones ? Drink Butterbeer – Prove how well you know Barnaby! Who did my dad used to know ? What am i best known for ?